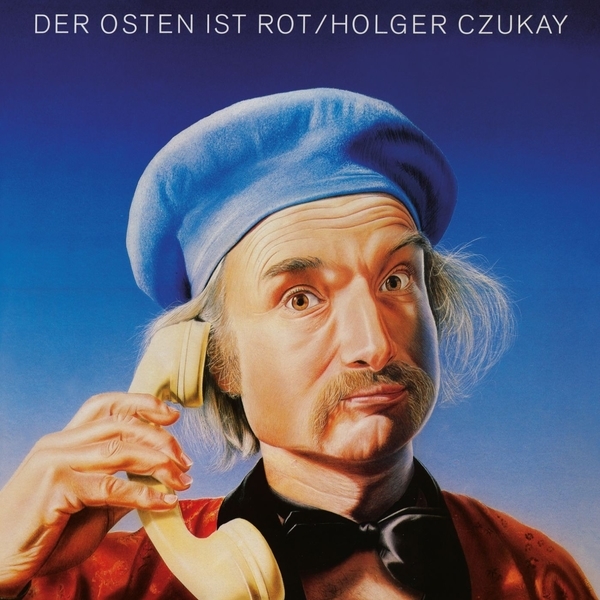 ‘Der Osten Ist Rot’ is a wigged-out 1984 treat helmed by Can’s Holger Czukay, with drums by his legendary bandmate Jaki Liebzeit and vital synth input from Conny Plank. 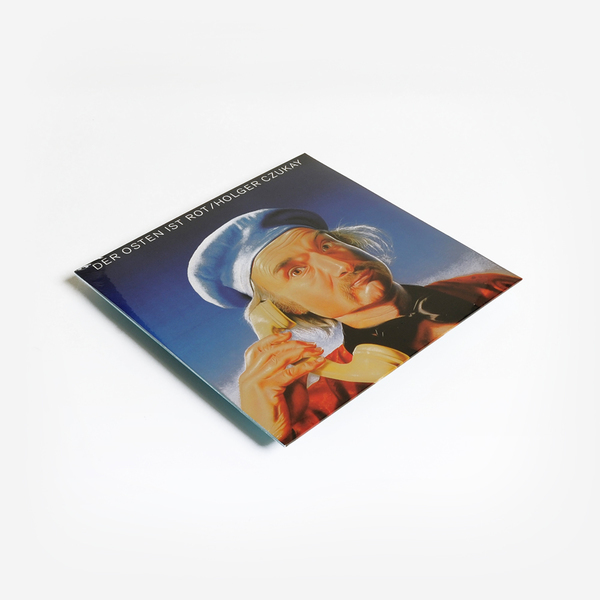 Now making its first official digital release, the 1984 album was Czukay’s 3rd solo side, proper, following from ‘Movies’ , and ‘On The Way To The Peak Of Normal’  in pursuit of an elusive, avant and pop-wise spirit that would also be explored on its follow-up ‘Rome Remains Rome’, before Czukay set off on two seminal ambient trips with David Sylvian in 1988-’89 (recently reissued and very much worth a look-see!). ‘Der Osten Ist Rot’ is perhaps most notorious for both its balmy, mis-leading opener, the strolling new wave pop bop of ‘The Photo Song’, and its title track, an exotica-tinged cover of the 1960’s Chinese national anthem, ‘The East Is Red’, which is likely a nod to his former tutor Karlheinz Stockhausen’s ‘Hymnal’ suite of mutated anthems. 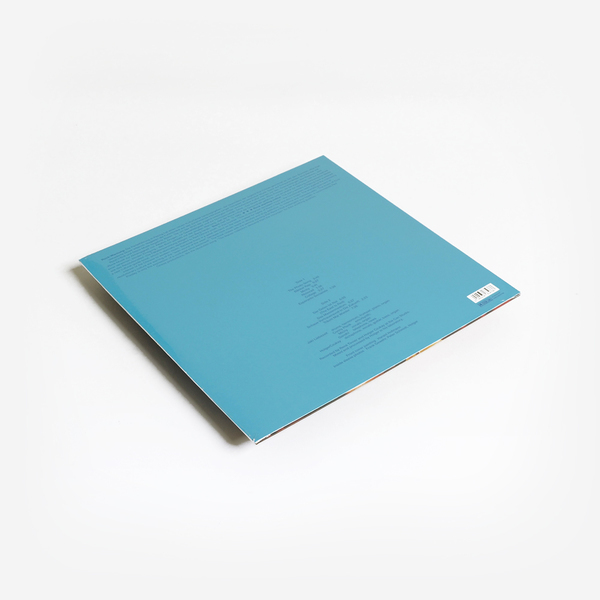 However, the fun doesn’t stop with those two - the rest of the album is a madcap ride, coolly swerving from grooving, brassy avant-disco in ‘Bänkel Rap’, to a haunting organ and vocal piece by Michy (who also turns up on Czukay’s ‘Flux & Mutability’ LP with David Sylvian), and taking in the wild studio cut-up of ‘Collage’, along with the supremely crafty, weightless gait of ‘Das Massenmedium’ which, like album closer ‘Traum Mal Wieder’ strongly recalls his work on the cult ‘Las Vampyrettes’ outing with Conny Plank, while the uncannily prescient rhythmic concrète of ‘Schaue Vertrauensvoll In Die Zukunft’ also deserves a mention.